Kratom (Mitragyna Speciosa) is a medicinal plant species native to the lush forests of Southeast Asia. Its leaves are regarded as sacred to many of the cultures living in this region. Kratom leaves are used in different parts of the world as a natural painkiller, nootropic, euphoric, sedative, and stimulant. It’s even been used to treat opiate addiction, depression, cough, diarrhea, and colds/ flu. What is Kratom? What is it Used for? Kratom is a member of the coffee (Rubiaceae) family. It contains a series of alkaloids that provide unique benefits to the human body. These alkaloids are similar in structure to caffeine (indole and oxindole alkaloids). Although similar in structure, kratoms alkaloids are very different to caffeine. The dosage and ratio of these alkaloids give each strain of kratom a unique set of effects. There are many differences in traditional uses from one tribe to the next. Local indigenous cultures using kratom have all agreed on one thing… The dose and strain choice matter. This is because kratom acts like a stimulant in lower doses and a sedative in higher doses. This means that certain conditions will benefit more from either a high or a low dose. Fatigue, for example, can be treated using the stimulating effects of low dose kratom. This isn’t suitable for those suffering from insomnia or anxiety, however. In the modern world, it’s become a popular medicinal plant for inducing relaxed states of mind. It’s also popular for increasing focus and concentration and treating pain and arthritis. The use of kratom dates back many centuries. The first person to introduce kratom to the Western world was a man named Pieter Willem Korthals. Peter was a Dutch botanist in the early 19th century. He served as the official botanist for the Dutch East India Service. The origin of Kratom is unknown, but it flourishes in Southeast Asia. Currently, Indonesia, Malaysia, and Thailand are the main producers of kratom. 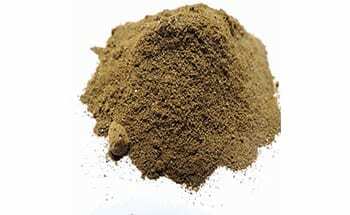 Depending on the country of origin, different subspecies of kratom are grown. Thailand and Indonesia are especially diverse in the types of kratom grown. This can change dramatically from one region to the next. Maeng Da. This is one of the most popular strains of kratom available. It’s thought to have originated in Thailand, however, most of it is now cultivated in Indonesia. Borneo, Java, Sunda Isles and Sumatra. These are sub-regions of Indonesia. Each strain of Kratom leaf growing in these subregions contain different chemical profiles. Therefore each strain has different qualities, and potencies. This makes strains grown in these regions very diverse in their effect profiles. While each country or region grows the same plant, every region grows its own variety of Kratom. The different climate, weather, sun exposure and soil conditions change the plant. It provides a unique ecosystem for Kratom to develop. 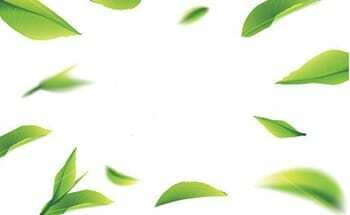 Read further to learn the differences between the strains and types of Kratom leaves. .
Read further to learn the differences between the strains and types of Kratom leaves. There are many different strains of kratom available. This is the result of selective breeding and genetic engineering of kratom crops. The effects produced by Kratom leaf varies a lot. It depends on the level and ratio of the different alkaloids contained in the plant. These alkaloids can be very different from one strain to the next. Experts have categorized Kratom strains into three levels. Moderate, Sedating and Stimulating. This is relative to their overall effects. On top of different strains, Kratom plants vary according to growing conditions. This means that each categorization of a specific strain is not set in stone. Stimulating strains are most desired for people complaining of fatigue or depression. This includes those looking to improve focus and concentration for long hours. They‘re useful for students trying to cram for exams. Business professionals also find them useful when working on tough projects. The alkaloids that give its stimulating properties also increase sexual function. For this reason kratom is used as an aphrodisiac to improve sexual desire and stamina. Mood is also elevated with stimulating varieties of kratom. These strains are reported to make people more friendly, talkative and sociable. The stimulant effect of kratom relies on an activation of the adrenergic receptors. This competes with kratoms ability to stimulate the opioid receptors. Strains with more stimulating activity have a higher affinity for these adrenergic receptors. Therefore increasing energy levels throughout the body. In general, sedating strains contain less stimulating alkaloids. This is mainly the alkaloid known as Mitragynine. Mitragynine is present in the Thai and Maeng Da strains. These strains are generally higher in a related alkaloid known as 7-Hydroxymitragynine. This alkaloid is effective for pain relief and managing opiate withdrawal symptoms. Sedating strains have long been used for chronic pain and mood enhancement. Sedating kratom strains have a higher affinity for the opioid receptors and 5 HTP (serotonin) receptors. This is why they tend to have stronger sedative and mood enhancing effects in the body. These strains produce feelings of euphoria and relaxation. They’re far more useful for inhibiting the transmission of pain. Many users choose moderate strains as their go-to for a more well-rounded effect. These strains are often considered to be smoother in their effects. Yet they remain useful for both enhancing energy levels and promoting relaxation. These strains are very popular. They consist of a much bigger portion of the Kratom market across the globe. Moderate strains aren’t as active in producing instant effects, yet, they can deliver their effects more gently. Additionally, they provide a safe middle ground for new kratom users to explore. Kratom comes with a long list of benefits. Some are distinct to certain strains, others more widespread throughout the entire species. Kratom is abundant in antioxidants, vitamins, and minerals. This provides extra health benefits from regular consumption. Kratoms analgesic effects are beneficial for those suffering both acute and chronic pain. This is a result of kratoms ability to interact with the opioid receptors in the body. 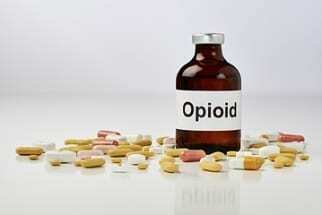 Opioid receptors work to regulate the transmission of pain. Many people have switched from using conventional pain-killing medications to kratom. This is possible due to its comparable effects and higher level of safety associated with its use. 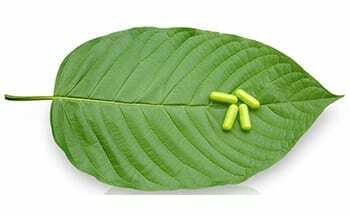 There are two main pain-relieving alkaloids in the kratom plant. These are Mitragynine and 7-Hydroxymitragynine. These alkaloids are capable of modulating the delta opioid receptors in the brain and spinal cord. Therefore they work to mitigate the body’s sensation of pain. As a pain receptor moves pain from the source (such as a muscle or joint) to the brain it must first pass through the spinal cord. This is where the opioid receptors act as a faucet. They allow only as much pain as deemed appropriate through to the brain to receive. By stimulating these receptors, we can turn down the faucet on pain transmission to the brain. Thus reducing the sensation of this discomfort overall. It’s necessary to use Kratom strains that contain the highest amount of these two alkaloids if we want to achieve this effect. The potency of alkaloids present in the leaves varies depending on the strain and type of Kratom. Tip: When choosing kratom strains for pain management, a good rule of thumb is to look for a species with red vein color. This is because as they tend to be highest in these two alkaloids. The dose for pain management is usually from Moderate to High. As discussed above, Kratom is effective for pain relief which works through the opioid system located in the spinal cord and brain. For this reason kratom is also useful for conditions involving opiate withdrawal symptoms. The effects of withdrawal are the result of an inability to naturally stimulate the opioid receptors. Kratom stimulates these receptors in a similar manner to opiate drugs, but with more gentle effects. This allows an opiate user to wean themselves off the pharmaceutical slowly. Tip: Similar to pain reducing strains, look for kratom with red leaf veins and aim for moderate to higher doses to achieve the desired effect. Manual laborers in Southeast Asia have been using kratom for decades. They use it for reducing fatigue and improving their productivity at work. Kratom owes this ability to the alkaloids in its leaves that work through adrenergic receptors. These receptors regulate our energy levels throughout the day. 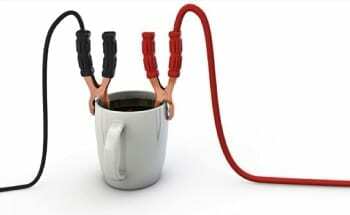 Adrenergic receptors are responsible for giving us a boost of energy when we’re surprised or in danger. It’s an important part of our fight or flight response. This system also contributes to our day-to-day energy regulation. Kratom increases in blood flow to the brain and peripheral tissues to bring freshly oxygenated blood throughout the body. It increases heart rate and promotes more effective blood perfusion. Through these mechanisms kratom is able to produce a boost in energy levels that can last several hours. White Vein strains are often labeled as ‘get up and go’ Kratom as it provides a unique boost of energy to other varieties. These strains are used commonly as a tea for an immediate rush in energy levels. Many people claim to overcome insomnia using white vein Kratom. Herbs have long been used to boost the immune system and help us defend against conditions like cold and flu. One of the main traditional uses of kratom was for infections. This is due to a variety of immune-enhancing and antimicrobial effects. Some of the compounds in kratom are directly antimicrobial, killing infectious organisms in our body. Other compounds in kratom work indirectly through our innate immune response. They serve as a way to upregulate the production of immune cells. Additionally, kratom is a rich source of antioxidants that work to protect the body from damage and inflammation. Damage provides a home for opportunistic organisms like influenza and E. coli. Many people take kratom at the early stages of illness to boost their immune system. 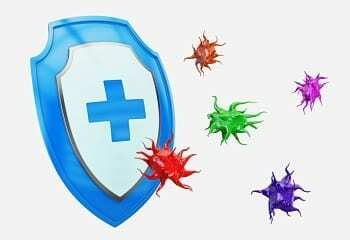 This reduces the severity and duration of infections like cold/flu. * Tip: When choosing kratom strains of immunity, the best vein color to look for is Green and the recommended dose is Low to Moderate. One of the most desired qualities of kratom is its potent anxiolytic and euphoric effects. It soothes the mind, balances mood, and promotes feelings of excitement and motivation. The alkaloids in kratom have mild sedative actions, which has made it a popular herb for promoting relaxed and meditative states. Others use it to help unwind after particularly stressful events. The anxiolytic qualities of kratom make it popular for those suffering anxiety or depression. It’s important to remember that this is highly strain-dependent. Some strains are considered to be stimulating rather than sedative. The stimulating strains will not be useful for this purpose and should be avoided in these cases. Tip: When choosing kratom for euphoric effects, look for strains with Green and White veins. This can vary greatly, however, and it is best to talk to someone experienced with kratom if this is the reason for taking this herb. 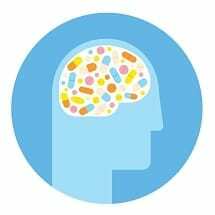 Nootropics are becoming more and more popular as time goes on. New research is released on these substances every month. Nootropics come as both a natural supplement, such as kratom or other herbs, as well as synthetic compounds produced in a laboratory. Kratom offers nootropic benefit with minimal side effects. It offers more widespread cognitive benefit than a single synthetic nootropic. This is because there are a number of compounds in kratom, each with their own unique effects. These compounds work together to produce more well-rounded benefits than a single chemical. As with other uses for kratom, the nootropic value of one strain to the next can change dramatically. This makes it important to be strain-specific when choosing kratom to use as a nootropic. Tip: The ideal vein colors for cognitive support are Green and White and the recommended dosage is Low to Moderate. All substances — synthetic and natural alike — pose the risk of side effects. While Kratom is no more dangerous than other substances in its class, it’s important to research the side effects and understand how they may affect you. CBD, on the other hand, poses fewer risks than Kratom and provides its users similar pain relieving and anti-anxiety effects. Whenever taking a herb or supplement it’s important to learn and understand any of the potential side effects and how they should deal with them. Most of these side effects are in relation to the ability for kratom alkaloids to bind to the opioid receptors. These receptors control a wide range of functions in the human body. Therefore it can result in some side effects that may seem unrelated. If any of these side effects are experienced, it’s important to stop taking anymore kratom during that session. Additionally, it’s wise to reduce the dose the next time you want to try it. These side effects will usually disappear between 2-3 hours. The compounds contained in kratom leaves can deliver varying results even at different doses. There are many different factors that can influence how kratom affects the body. Generally speaking, the lower end of a kratom dose (1-5 g) tends to produce more stimulating effects. This dose is most common for those looking to boost energy and use kratom as a nootropic during work or study. The effect can begin within 10 minutes and may last up to several hours. Most Kratom users report the effects of smaller dose kratom as “pleasant and productive”. Increasing the dose to moderate (5 – 15 grams) will generate effects more similar to opiates. These effects may last for several hours and are considered milder than other opiate sources. Taking higher dose range (15+ grams) may lead to severe sedation and may even cause loss of consciousness. These doses are not recommended. There have not been significant negative effects reported from taking kratom long term. Reports from traditional cultures using the herb also suggest no serious long-term risk. is involved with consuming this herb. This is one of the strongest sedating strains available. The highly sedative nature makes of Borneo kratom make it excellent for pain relief and stress or anxiety. Red Vein Borneo leaf is considered to be especially useful for this. Compared to similar strains, Borneo strains have a much lower incidence of side effects based on anecdotal reports. Any experienced kratom user will be able to quickly identify the difference with a true Borneo strain. Bali kratom has large leaves and grows faster than most other strains. This makes the cost for Bali kratom more affordable than most kratom. Correct dosing may be a challenge for some Bali strains. This is because they’re known for having a low ‘wobble’ threshold. This is a common side effect involving blurry vision, dizziness, and nausea. Many users combine Bali kratom with other strains to negate these effects. Additionally, finding the right dose by titrating Bali kratom can effectively avoid this side effect. Indo kratom has a low side effect profile and is excellent for pain relief. 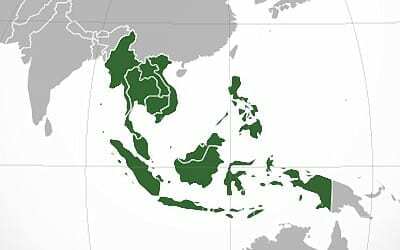 It’s further sub-grouped into Sumatra and Riau (Borneo is another sub-category of Indo). Many users report slow onset of effect from different types of Indo Kratom. This is believed to be due to the extra time it takes to break down the cell walls of these strains. This strain is popular for its potent energizing effects. The alkaloid profile of Thai Kratom can result in unpredictable effects depending on the user. For this reason, Thai kratom is not generally recommended for inexperienced users. Despite the unpredictable nature of Thai kratom, it has a lot of devoted users compared to other varieties of Kratom. The analgesic effect of Thai kratom can vary greatly, but Red Vein Thai (RVT) offers the most effective analgesic action. The White and Green Vein Thais are better for stimulation and depression. Maeng Da is known for being one of the most powerful pain-killing varieties available. Unlike most other pain-killing kratom strains, Maeng Da has more of a stimulating effect than sedative. This makes it excellent for those looking for some pain relief but doesn’t want to sacrifice energy levels. This strain is known for having a long-lasting effect. It’s a popular choice for those looking to gain the nootropic benefits from their kratom. The long-lasting effect are the result of thicker cell walls and more even alkaloid level. This strain of kratom promotes focus and concentration. It also improves memory, and provides a mild stimulating effect on the mind. This is great for giving the mind an extra boost to power through a tough project. One of the main identifiers of kratom is the vein color. These different colors indicate different chemical compositions in the leaves. It gives us hints about what its effects are likely to be. The three vein color types are White, Green and Red. Different vein colors of kratom can deliver very different effects. This vein color type is good for producing fast-acting sedation. It’s popular for its pain relieving and stress/anxiety reducing effects. This is because red vein kratom tends to be rich in 7-Hydroxymitragynine alkaloids compared to other vein color types. Most Kratom users prefer to use the Red Vein type regardless of its place of origin. Of the red veined varieties, the most popular is Red Thai. This strain is considered to be one of the most balanced strains available. It offers pain relief and improves energy levels with a great deal of potency for both. This Vein type is known for providing a middle ground in terms of effects. This is useful for new users and those who want the best of both worlds in terms of the red vein and white vein effect profiles. Green vein strains tend to have medium potency and have both stimulating and sedating qualities depending on the dose. These phenotypes are useful for pain and can be used as a nootropic as well. The white vein phenotypes have a lower concentration of the alkaloid 7-Hydroxymitragynine. This makes it more useful as a nootropic. It promotes alertness and concentration better than red or green vein kratom. White vein kratom makes a good alternative to coffee or tea. This is because it tends to be more subtle and long-lasting. White vein kratom offers many of the same benefits of these common stimulants. A morning cup of white vein kratom promotes focus and alertness and gives a good kick to start the day. Traditional methods of consuming kratom involve chewing the raw leaves. This is done for a few minutes to break down the cell membranes before swallowing. Dried leaves were also consumed but are much tougher on the teeth and gums. Eventually, people began drying and powdering the leaves to make them more palatable. 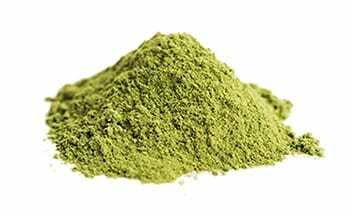 There are many ways to use Kratom powder. It can be ingested directly, encapsulated, or mixed with liquids. Many users combine kratom powder with water, juice, or milk. Chocolate milk is a great method of consuming kratom powder because it helps mask the bitter flavor. Some people use their kratom powder as a tea, which can be achieved by filling tea bags with their kratom powder of choice. The tea is then strained and consumed. This is one of the most common ways of consuming kratom powder. Compared to other methods, it’s far more palatable than drinking liquids with kratom powder directly in it. Honey or other sweeteners can be added to improve the taste. 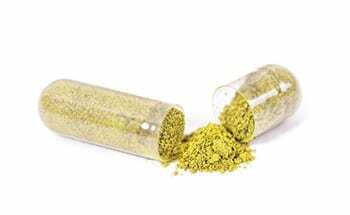 Capsules are a more modern way of consuming kratom powder. The capsules allow the user to know exactly how much kratom they’re taking and eliminates the chances of tasting the bitter leaves. This is a common method of taking other herbs as well and is well tested throughout the world. Capsules come in standard sizes, allowing you to be more confident in the dosage you’re taking without having to measure it on a scale before each dose. Encapsulated kratom comes at a premium, so many users choose to fill their own capsules using powdered kratom leaf and a DIY capsule machine. The process is simple but tedious and can be done at home. Concentrated extracts of the active constituents are also available. These extracts are far more potent than the raw leaves but aren’t as well rounded in their effects. These extracts address specific conditions like chronic pain, depression, or insomnia more effectively. Extracts aren’t as commonly used recreationally due to their increased potency. Kratom extracts can be dangerous if used incorrectly so always be sure to use caution when taking concentrated extracts. This is true for any herb or substance. Water-based kratom extracts are the most common. They’re made by dissolving the kratom leaf powder into water before being strained and evaporated. The chemicals within the kratom leaves are extracted into the water and left behind after evaporation. This process removes the fibers and unwanted plant materials. Tus leaving only the active chemical constituents. The main advantage of producing this extract is that it increases the alkaloid content per weight. This means a much smaller amount of the powder is needed to produce the same effects. With raw leaf powder, 5-10 grams is needed to produce the same effects as 1-2 grams of extract. Kratom extract produces better stimulating effects than the plain leaf. It also offers fewer side effects compared to resin extracts or other enhanced extracts. Many experienced kratom users combine water extracts with the plain leaves to enhance the potency. Water-based extracts lack some potency towards pain relief compared to resin extracts. This due to the fact that the main pain-relieving alkaloids are not water soluble. These substances thus remain in the plant material that has been discarded during the production of the extract. Kratom resin is made by using both a polar and nonpolar solvent together to strip the active constituents from the kratom leaves. The main solvents used for this process are water and ethanol. In this extract, the dried, powdered kratom leaf is soaked in solvent to dissolve the chemicals contained in the leaves. Once dissolved, the liquid is strained to remove unwanted plant material. The remaining, brownish liquid is then left out to allow the solvent to evaporate, leaving behind a sticky resinous substance. This process allows for a greater range of constituents to remain in the extract. It provides more well-rounded benefits to simple water extraction. This also allows for effective long-term storage of the kratom and smaller effective doses. Kratom resin extract is more expensive than water extracts or raw leaves but offers much more potency per gram. Additionally, the possibility of side effects with this concentrated extract is much higher. Careful dosing needs to be observed. 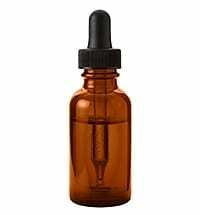 Kratom tincture is similar to resin extracts, only without the filtration step. Tinctures often involve the addition of citric acid to allow for more thorough breakdown of the plant material. The goal is to have as many of the leaves naturally occurring components to remain in the liquid to achieve more rounded effects. The main advantage with Kratom tinctures is added convenience and a longer shelf life. The ethanol content of the tincture also improves absorption times in the gastrointestinal tract. It allows the effects to begin faster than traditional methods of consumption. 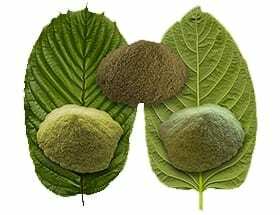 As discussed above, each Kratom strain and vein color will produce different effects on the body. This is due to the changes in the ratio between the active alkaloids (and other components) found within the leaves. 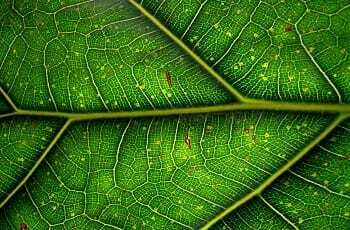 Below is a list of some of the known alkaloids present in Kratom leaves. It includes comprehensive details on their concentration and characteristics. Relative content is also considered as the percentage of total alkaloid weight. Mitragynine acts as a mediator of pain. It’s an active opioid receptor agonist, which means it is able to bind directly to the opioid receptors found in the spinal cord and brain. Mitragynine also provides some mild adrenergic qualities. This gives it mild stimulating effects as well. 7-Hydroxymitragynine is the main analgesic alkaloid. It’s also an effective antidiarrheal, sedative, and antitussive. support relaxation and reduce the negative effects stress has on the body. This is especially useful for muscle tension and nervous anxiety. This is the main immune system stimulant found in kratom. Isomitrafoline is another useful immune system stimulant found in kratom leaves. It has a similar structure to Isomitraphylline. This compound is a flavonoid also found in tea (Camellia sinensis), as well as the chocolate plant (Theobroma cacao). It exhibits anti-leukemic, anti-mutagenic, anti-viral, antioxidant, anti-inflammatory and anti-diabetic qualities. This alkaloid is a mild opioid receptor agonist. 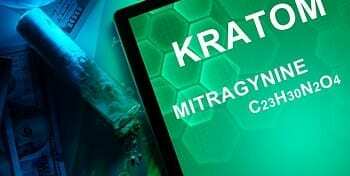 It’s much less potent to other alkaloids found in kratom like mitragynine. Isorhynchophylline is an alkaloid also found in the medicinal plant species Uncaria rhynchophylla. It’s been shown to be neuroprotective for conditions like Parkinson’s disease as well as offering some immune system support. Isopteropodine is a mild immunostimulant and 5-HTP modulator. The ability to interact with serotonin receptors (5-HTP) allows it to support mood. It also serves to improve focus and concentration. This alkaloid serves as an auxiliary analgesic painkiller. Along with 7-Hydroxymitragynine it helps amplify the pain relieving effects. Concentration of total chemical composition: Highly variable. A mild opioid receptor agonist useful for inhibiting coughs (antitussive) and reducing diarrhea. It is also a mild analgesic and sedative. Mitraphylline is a smooth muscle relaxant. It also exhibits antihypertensive, antiamnesic, vasodilating, and antileukemic qualities. It’s also provides immunomodulating effects to boost innate immunity. Ajmalicine is also known as δ-yohimbine. It’s used as an antihypertensive medication in synthetic and concentrated extract formats. Additionally, ajmalicine exhibits cerebro-vasodilating, antiaggregant, anticonvulsant and antiadrenergic qualities. Corynoxine A modulates dopamine levels in the brain. It also provides neuroprotective effects against conditions such as Parkinson’s disease. Rhynchophylline exhibits potent antihypertensive, antiinflammatory and vasodilating qualities. Corynoxine B serves as a dopamine Stabilizer within the brain and helps amplify the effects of Corynoxine A.
Speciophylline is an immunomodulator useful for inhibiting chronic immune conditions. This can include leukemia and chronic infection. Speciociliatine is structurally related to mitragynine. It serves as a mild-moderate opioid receptor agonist. This makes it useful as an antitussive, analgesic, and sedative. Tetrahydroalstonine is a blood glucose stabiliser and of mild antiadrenergic qualities. This is useful for improving energy levels throughout the day, and reduces the negative effects of stress and anxiety. Mitrafoline is an oxindole alkaloid similar to mitragynine. It serves as a vasodilator, antihypertensive, muscle relaxant, antiamnesic, and anti-leukemic. Akuammigine is an indole alkaloid. This alkaloid is abundant in another medicinal plant species known as Picralima nitida. This species has well-known pain-relieving qualities. This alkaloid acts as a potent opioid receptor agonist. Speciofoline is a mild opioid receptor agonist. It’s useful for relieving coughs and chronic pain. This oxindole alkaloid is also known as rotundifoline. It’s a mild-moderate opioid receptor agonist. More research is needed to determine the specific effects of this alkaloid. NOTE: The figures of concentration percentages are based on mean derivative research data. They are not meant to represent absolute information in all samples.